Our second clotheslines stint at Salt Village markets unfolds this Saturday the 21st October. We back it up with Bangalow Market the next day, Sunday 22nd. We are already talking November which really means we are talking December! Order your DIY kit online and have your new stainless steel clothesline up for the silly season. Now is the time to look at the space saving alternatives and be rid of your old cumbersome clothesline before Christmas. 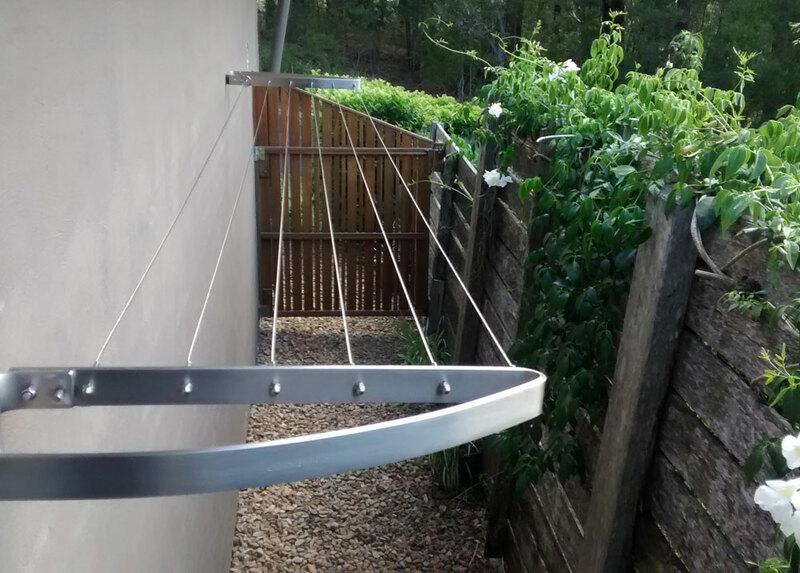 Footscray, Brighton, Torquay, Patterson Lakes, Pahran, Port Noarlunga and Bellevue Hill- your stainless steel Coastal Clotheslines are on their way! We are setting our goals high this Spring/Summer season. About 185cm high to be exact! Our recommended height for ‘hanging out in style’ And why not? We have a quality, stylish, durable and sustainable alternative to lousy clotheslines. Install your Coastal Clothesline where you want to utilise and see it. Smart use of space and the ability to span at longer intervals sees Coastal Clotheslines leading the outdoor clothes drying sector for style and design. Architectural beach houses and inner Sydney, Brisbane and Melbourne homes are embracing the change to a Coastal Clothesline. Our DIY ready-made stainless steel clothesline kits are anti-corrosive and easy to install. 316 marine grade stainless steel frames, stainless cables, terminals and fittings are no competition for salt spray. Even I (the female half of Coastal Clotheslines) can install a Coastal Clothesline on a wall, post to post or fence in about 1 hour….not bad for the chicks! October is delivering a mixed bag weather-wise across Australia. Install a Coastal Clothesline under your eaves to take advantage of some undercover during the Northern East Coast storm season. Delivered across Australia from WA to Tassie no job is too small! We enjoy a chat in our market stalls so pop in! We love meeting you, come and say hi to our helpful friendly team & we are happy to help with any further installation or product related enquiries. Our installation service is available in Byron Bay, the Northern Rivers of New South Wales and Tweed Coast, Gold Coast, Queensland. Thanks to our new customers in New Farm, Manly, Paddington and Coolum Queensland and Cottesloe, WA! Enjoy your Australian owned Australian made patented clothesline. Hang out in style at the Salt Village and Bangalow markets this weekend, eat, dance and be merry with a Coastal Clothesline under your arm! Check out our Instagram or Facebook pages, we like to stay social!